Which California Beach Town Should You Live in? Have you ever wondered which California beach town you should live in? Whether it's a sophisticated Northern beach town or a surfer town in the South, California was made for everyone. Find out where you'd love living with this quiz. Many people dream of living the California lifestyle. 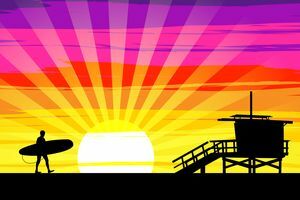 Find out which California beach town you were meant to live in, and start following your California dreams today! Not all California cities were made alike. Have you ever wondered where in California you'd enjoy living the most? If so, find out which beautiful beach town you'd thrive in by taking this fun and simple quiz now!